Description: To 70cm long. 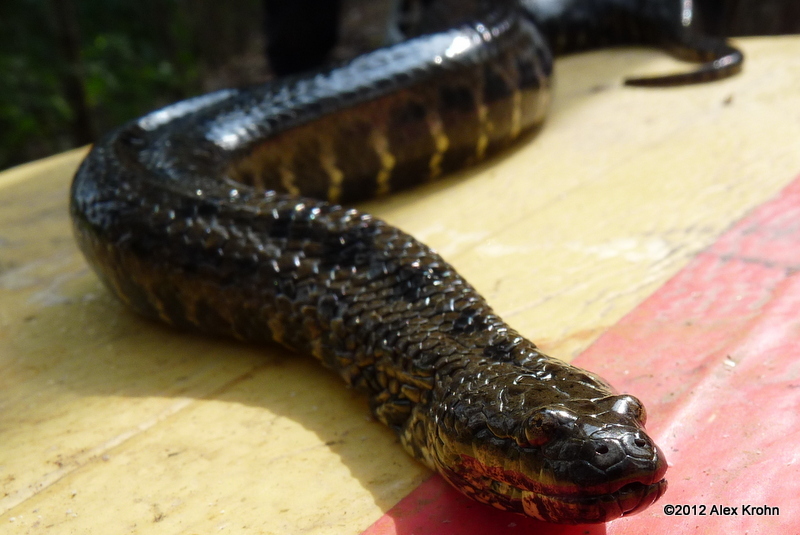 A short, thick snake. Head is short and small eyes are positioned on the top. 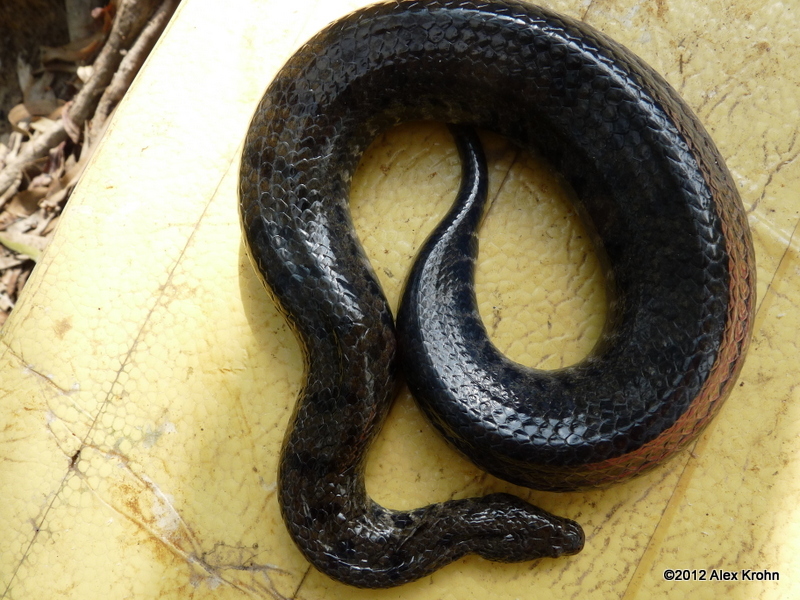 Body is grayish-brown to dark brown with black blotches in a line down the lighter-brown sides. Underbelly is pale. 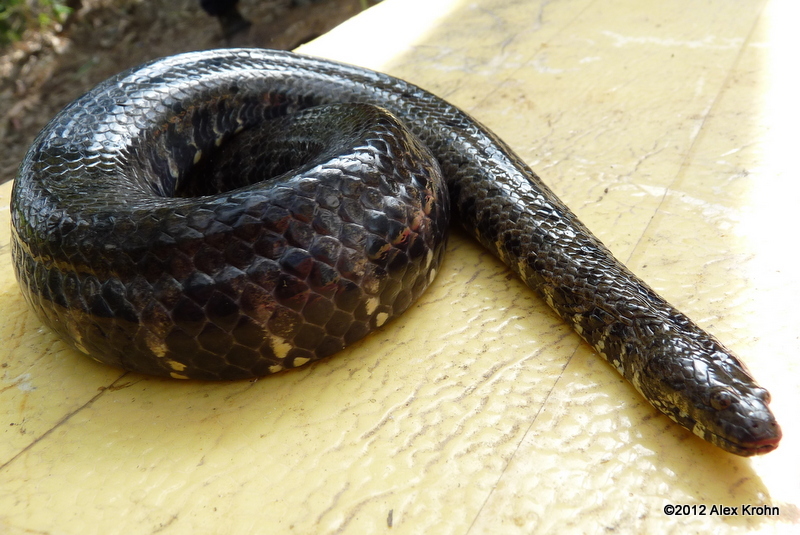 Similar Species: Jagor’s Water Snake is very similar in appearance, but is not found in the Mekong Delta. 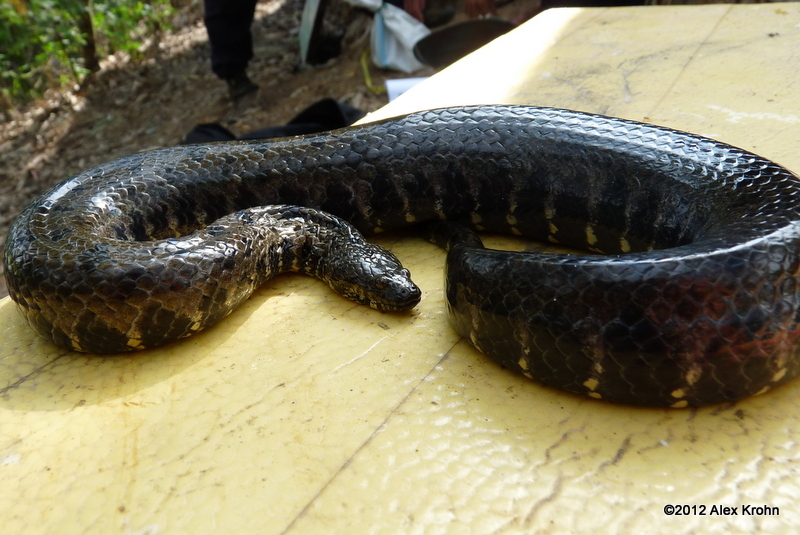 Longhead Water Snake (Enhydris longicauda) has a longer head, is only found in Tonlé Sap Lake, Cambodia. Interesting facts: This species is only found in the Mekong Delta, though due to taxonomic confusion it was previously thought to be more widespread.